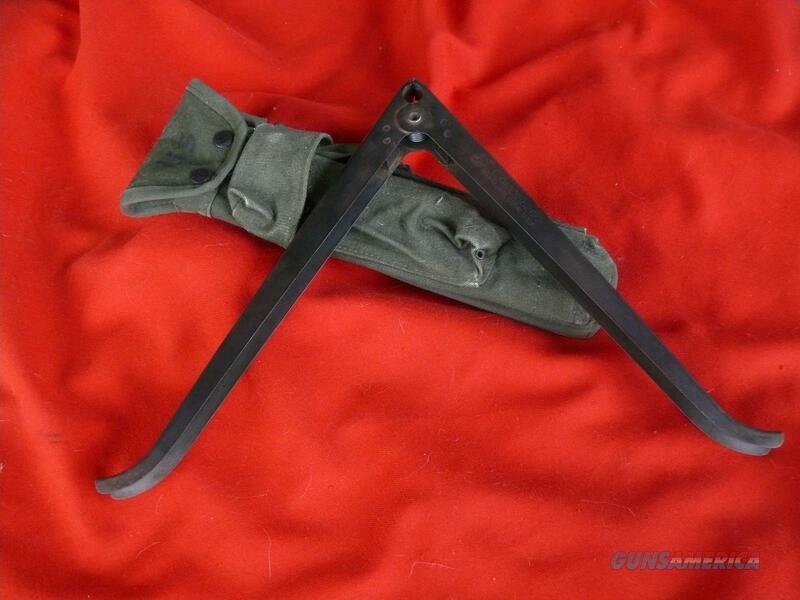 Description: Rare Vietnam-Era COLT Factory Original Quick-Detachable XM-3 Folding Bipod for the early M-16 / AR-15 series. Marked with the Colt Pony-on-Globe logo, " COLT'S - 62122 HARTFORD, CONN U.S.A. " In Exc condition, shows no signs of field wear, no dings or scratches. Spring tension still positive. Traces of light surface oxidation from storage. Comes with issue OD Green M1956 type field case or pouch, " DSA 100-68-C0745 1". Case also in Exc condition. Please add 11.75 for shipping. USPS Postal Money Orders preferred. Price reflects 4% discount for cash. Visa, Amex, Mastercard, & Discover accepted. Personal & bank checks accepted, with delay in shipping.